Police body cameras: eyes on us, not on them? In the wake of the Michael Brown shooting and subsequent non-indictment of officer Darren Wilson, many (including Michael Brown’s family) made the understandable call for police body cameras, since such a device might have provided visual documentation for the claims or counterclaims made in that case. But are body cameras are really going to be effective, long-term means of making police more accountable to the public? Or will they just be another device to switch on and off as it suits the cop on the beat — while providing another surveillance stream of unwarranted, suspicionless observations to sift and analyze long after the recording? Second, even when body camera footage is public, it remains an inadequate solution at best. Cameras captured video of Eric Garner’s death, which millions of people watched on YouTube. But video neither saved Eric Garner nor helped hold his murderers accountable. Moreover, even when everything does work as their proponents suggest, body cameras offer transparency only into particular incidents, not into patterns or practices. Body camera footage can be tampered with and body cameras can simply be turned off — sometimes per department policy — mooting whatever accountability effect there might be. Body camera footage (just like drone footage or license plate scans) can be integrated with other real-time and retrospective surveillance efforts even when no probable cause exists for such searches or seizures. Body cameras only capture the police line of view, and cannot always capture the police officer drawing his or her weapon. Body cameras and video data storage costs are expensive — diverting funds from crime reduction efforts — and the suppliers often lobby for their adoption via ‘private charities‘ posing conflicts of interest and sidestepping competitive bids. Of course, body camera proponents will point to their own favored studies and news reports, but these often prove less than overwhelming on closer scrutiny — and countervailing studies complicate the picture further. One of the favorite studies cited by bodycam supporters shows that in a randomized trial of Rialto, CA Police Department shifts over a 13 month period, shifts with body cameras recorded fewer uses of force per police-public contact; use of force fell by 60%, while complaints filed fell by nearly 90%. Yet on closer examination there were 7 months with essentially indistinguishable use of force rates, 1 month with a higher rates by body camera shifts, and just 5 months with distinctly lower use of force rates during the 13-month trial. …officers control the record button. They decide when to turn on and off the cameras and have little to fear when violating department policies about recording, Fusion’s analysis found. In many use of force incidents, camera footage doesn’t exist, is only partially available, or can’t be found. And when body cameras are turned on, the footage usually favors the officer’s account, according to police, law enforcement experts and public defenders we spoke with. For example, Salt Lake City PD officers recorded only 1 of 9 uses of force in 2014 — despite a policy that the cameras should always be on. In perhaps the clearest illustration that police culture will prevail over technology allegedly ‘reining it in,’ Fusion.net reported, “In Albuquerque, the number of police-involved shootings has not fallen since the cameras were first introduced in 2010. In fact, there has been an increase in the police involved shootings compared to the six years before the cameras were introduced.” (emphasis added). While the Department of Justice COPS (Community Oriented Police Services) agency and the Police Executive Research Forum (PERF) have collaborated on lengthy, generally supportive white paper reports about body cameras, even these studies raise the question of privacy issues — how or whether to record police-citizen interactions inside the home, how long to retain video footage. They show, if nothing else, that absent federal guidelines, there will be wide variation in police department rules about how body cameras will be used — and thus wide variation in the degree to which body camera use becomes more about surveillance and retrospective “CYA” by police forces, and less about true accountability. As recently as December of last year, ACLU efforts to get police department guidelines from around the country about body camera use have met with next to no success. In Montgomery County, the advocacy group Safe Silver Spring convened a well-attended “legislative briefing” meeting on January 12, 2015, attended by State Senator Jamie Raskin, State Delegates Dumais and Waldstreicher, Montgomery County Council members Marc Elrich and Tom Hucker, and MCPD Chief Tom Manger. The body camera issue was reportedly raised by Chief Manger and Councilman Hucker — with Manger actually sounding more of a cautionary note than ex-Progressive MD director Hucker. 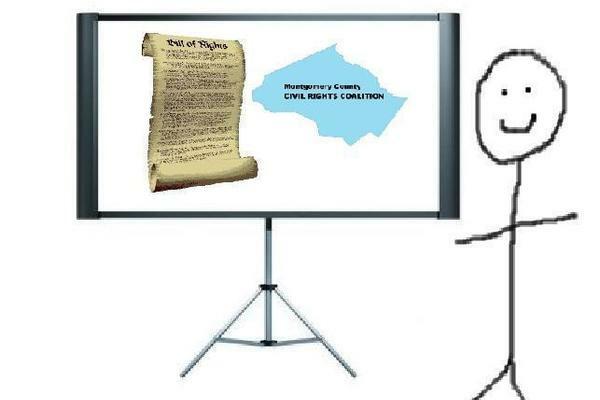 Manger noted in particular that body cams are no “panacea,” and that police would need waivers similar to dashcam waivers for Maryland’s two party consent rules. Yet as we’ve seen, there are counterexamples, and even the Rialto experience is not as conclusive as proponents suggest. OK, what would be better? Citizens who want police watched should, well, consider watching police: i.e., peacefully, non-disruptively videotaping police-public interactions. A federal “End Racial Profiling Act” should be passed without delay. Police departments should implement and strengthen policies and train officers to de-escalate potentially violent confrontations — invoking the so-called “responsibility to reasonably retreat” — in situations where the only thing at stake is the authority of the officer. When police do injure or kill someone, the investigation should be led by a truly independent special prosecutor or office, not one led by the same district attorney who works with that police force on other cases. With sufficient, airtight safeguards — always on, footage always discarded once not needed, and never used for surveillance per se — body cameras might be a useful tool someday, especially in the context of a fully empowered civilian review board. But experience suggests that day is still far off. Until then, body cameras are much more likely to just create yet another warrantless surveillance tool — while doing the disservice of only appearing to solve problems that run far deeper than an individual incident caught on tape. This entry was posted in Post and tagged body cameras, civil rights restoration act, maryland, moco, police reform, surveillance. Bookmark the permalink. 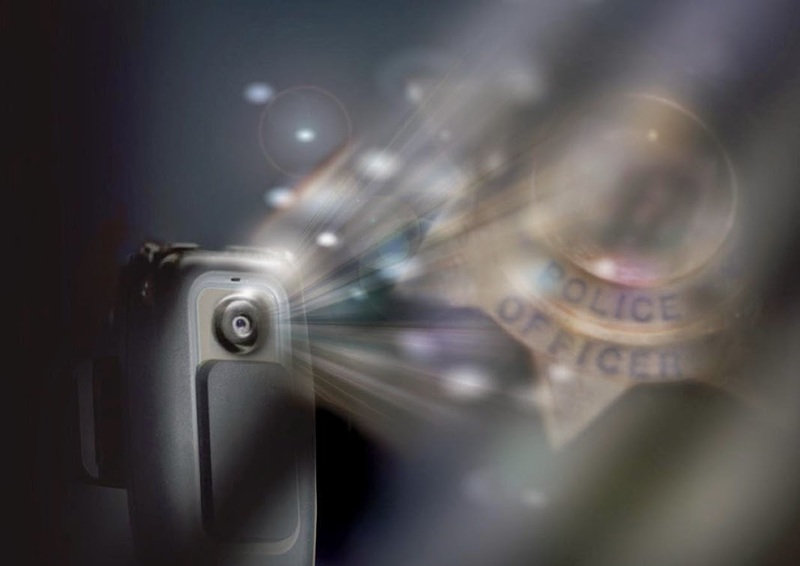 6 Responses to Police body cameras: eyes on us, not on them? Yet another surveillance tool – and one that often doesn’t even help stop bad cops the way it’s intended to.